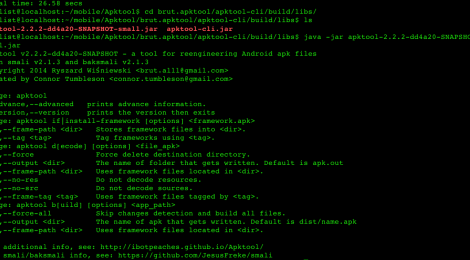 Browse: Home / Apktool v2.2.2 – A tool for reverse engineering Android apk files. 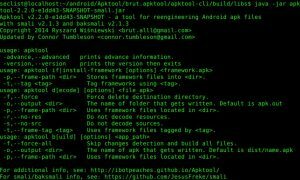 * Update aapt to android-7.1.1_r4. 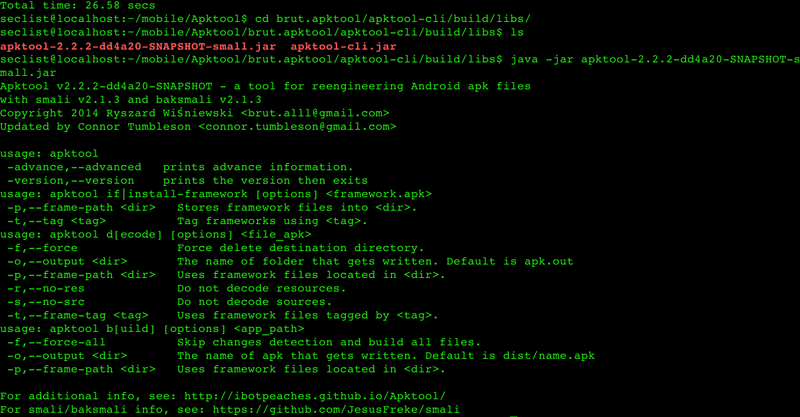 Apktool is a tool for reverse engineering 3rd party, closed, binary Android apps. It can decode resources to nearly original form and rebuild them after making some modifications; it makes possible to debug smali code step by step. 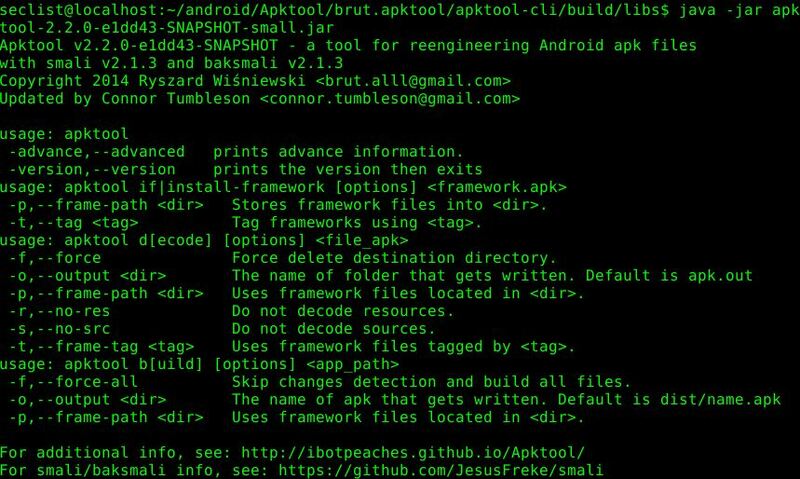 Also it makes working with app easier because of project-like files structure and automation of some repetitive tasks like building apk, etc. 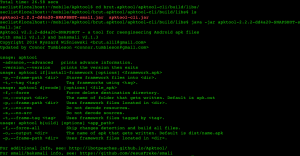 ← uif – Tool for generating optimized firewall rules.